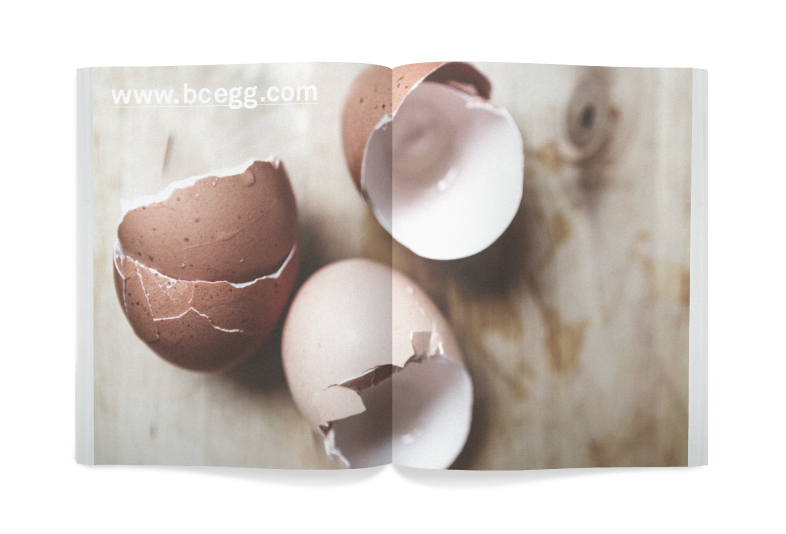 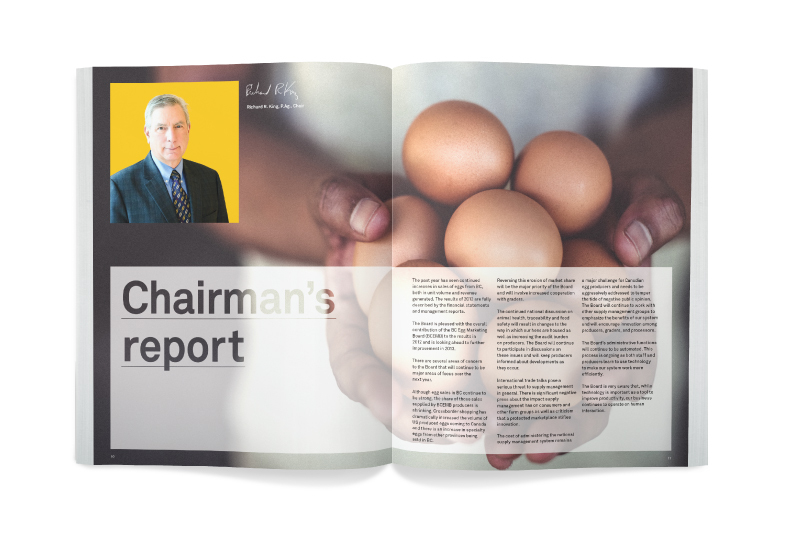 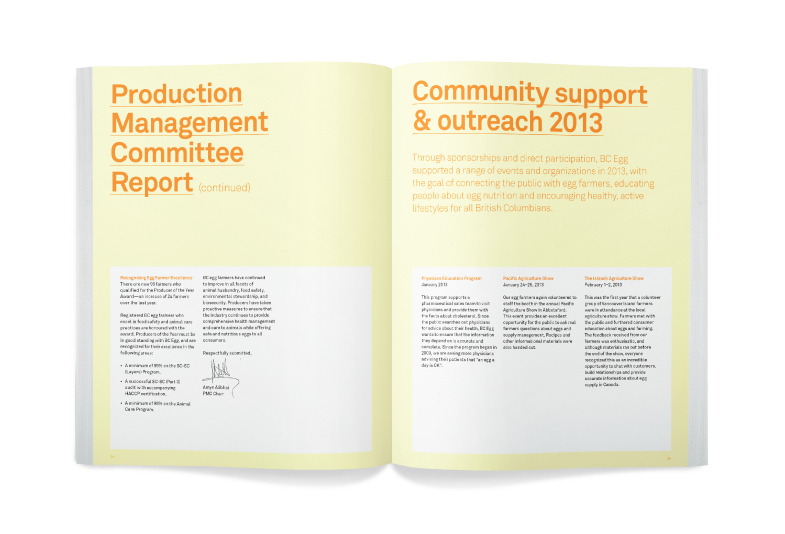 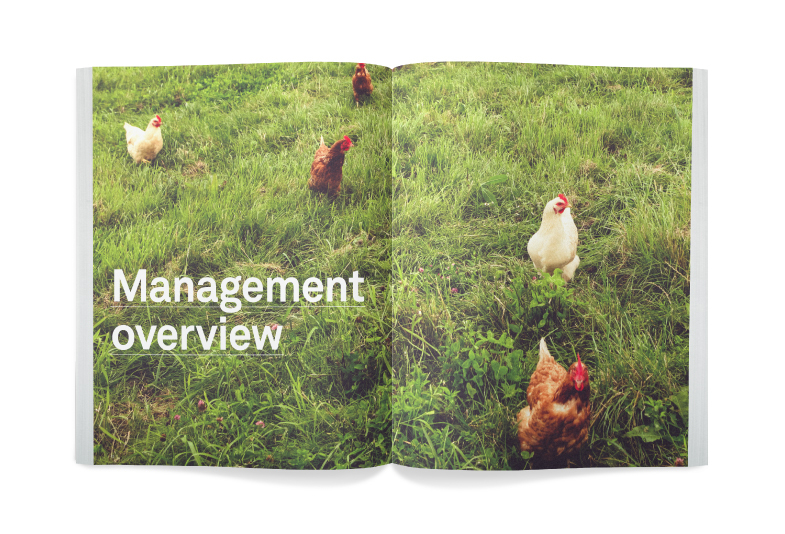 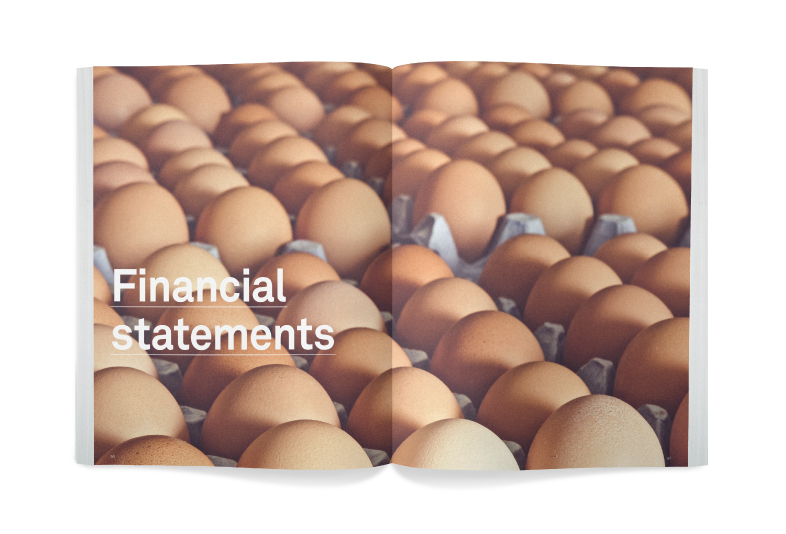 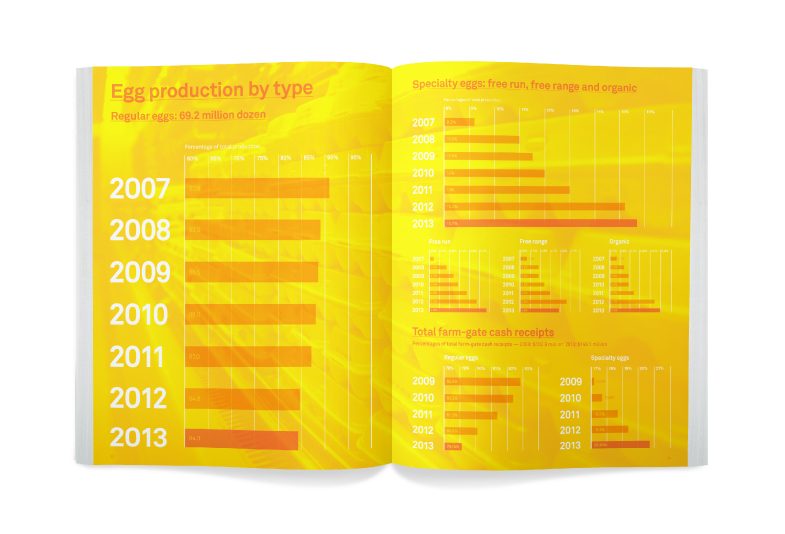 As the primary theme of the 2013 annual report for the BC Egg Marketing Board, “Good governance” had the potential to feel cold and politically charged. 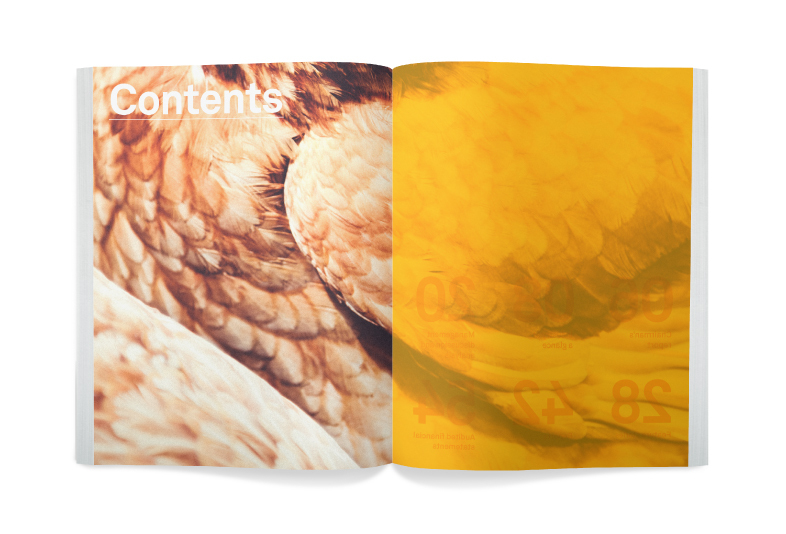 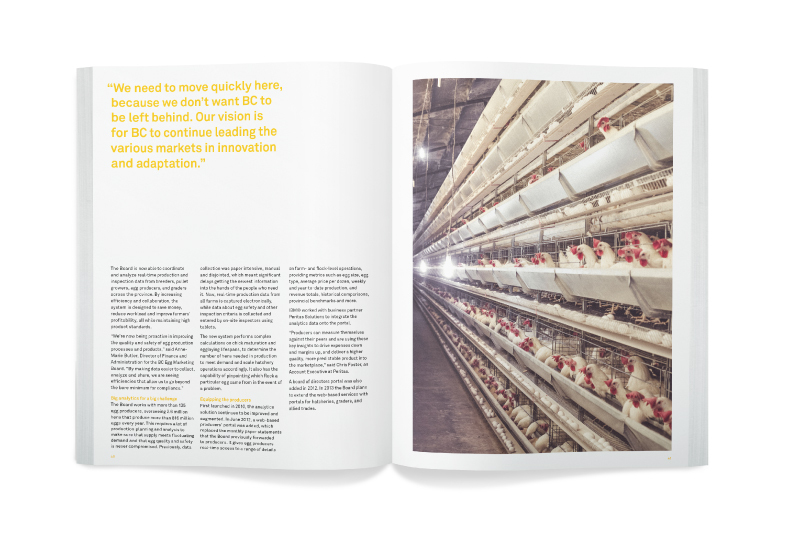 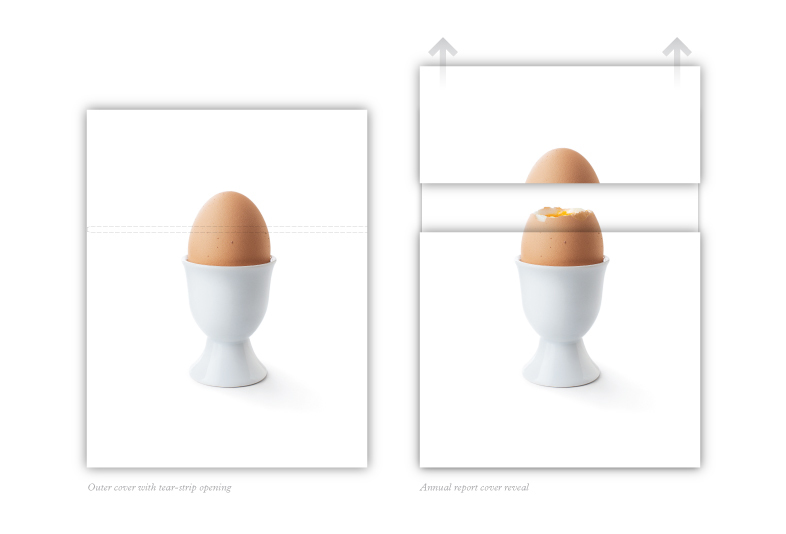 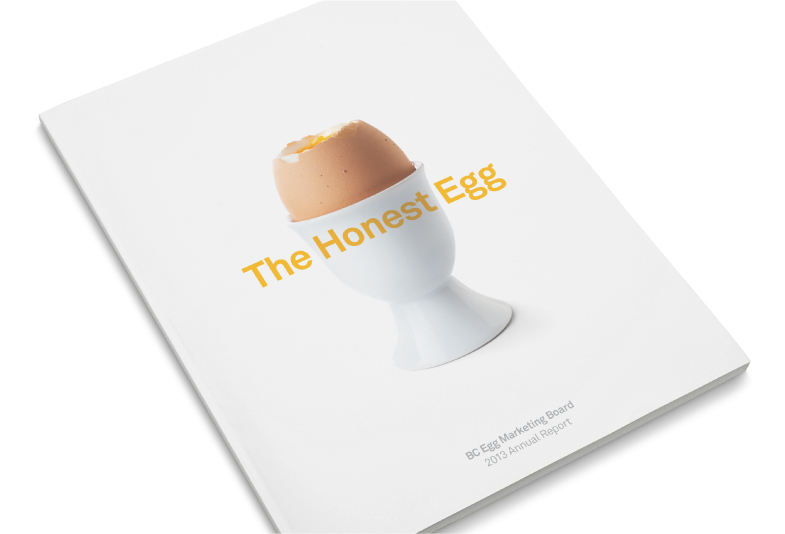 The aim was to humanize it and make it more approachable, and shed light on the decisions being made by BC Egg without sounding like a parliamentary debate. 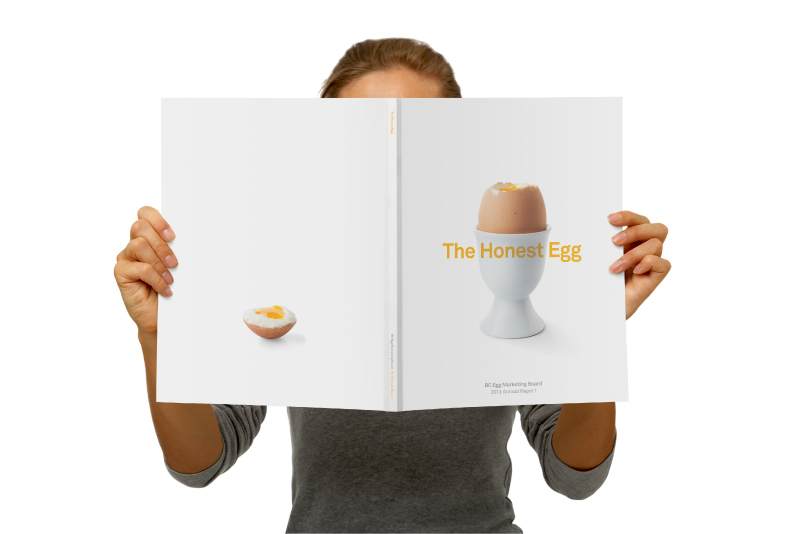 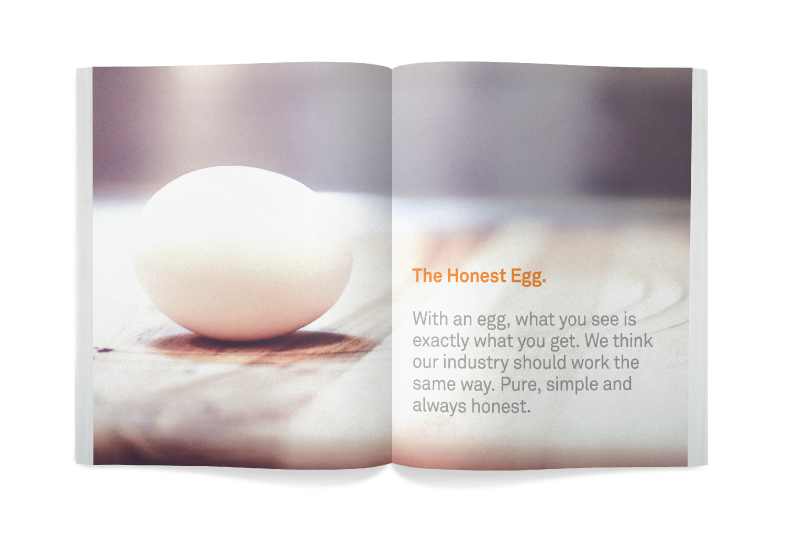 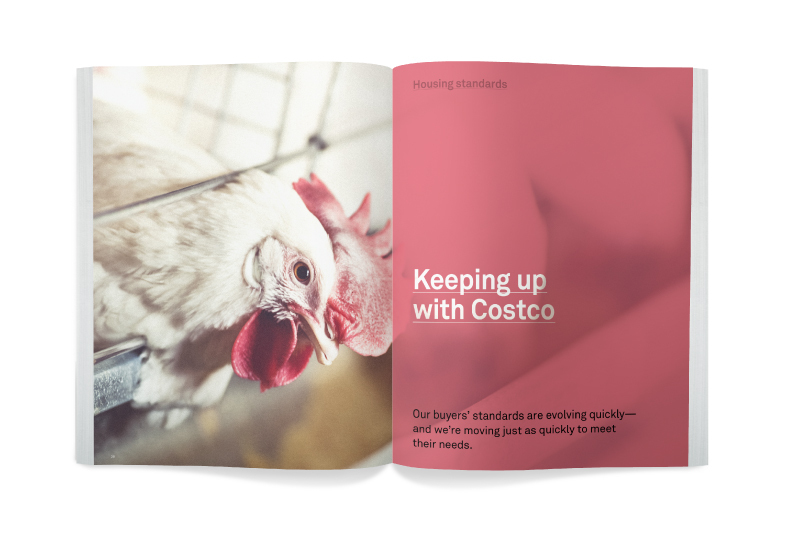 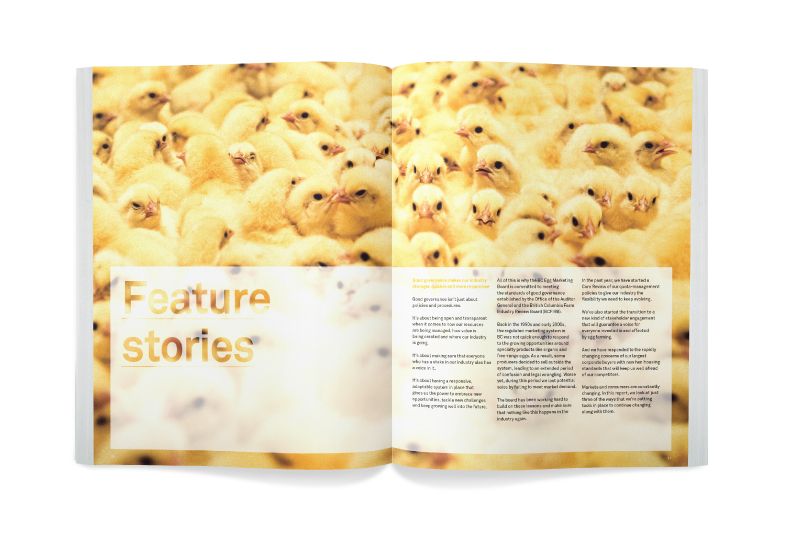 This challenge resulted in a concept which intended to show what’s happening in the BC egg industry in a way that exposes everything; that concept (and the title of the report) was “The Honest Egg”. 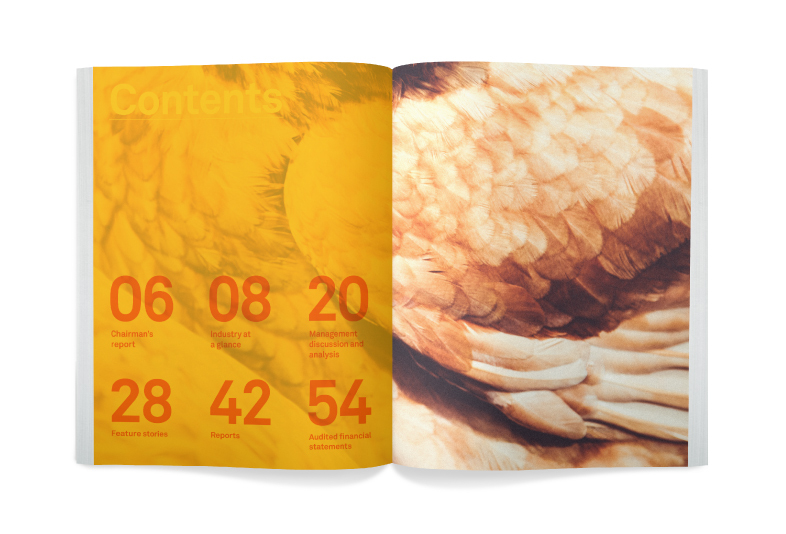 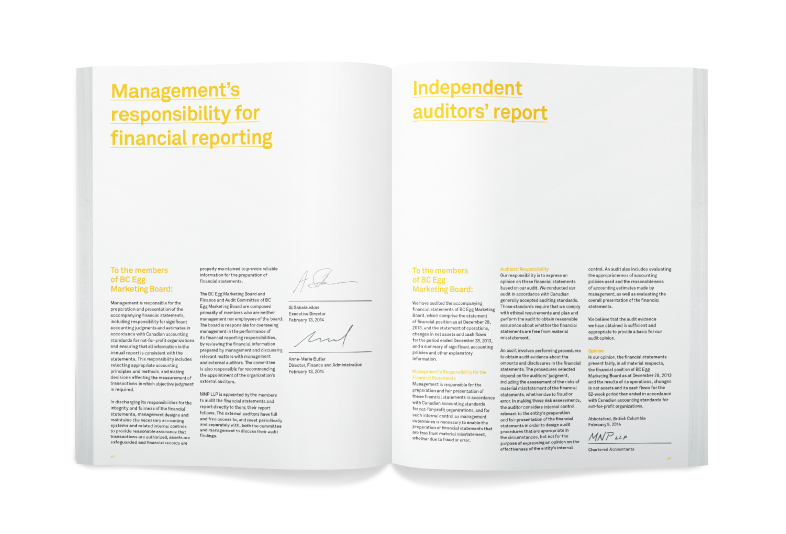 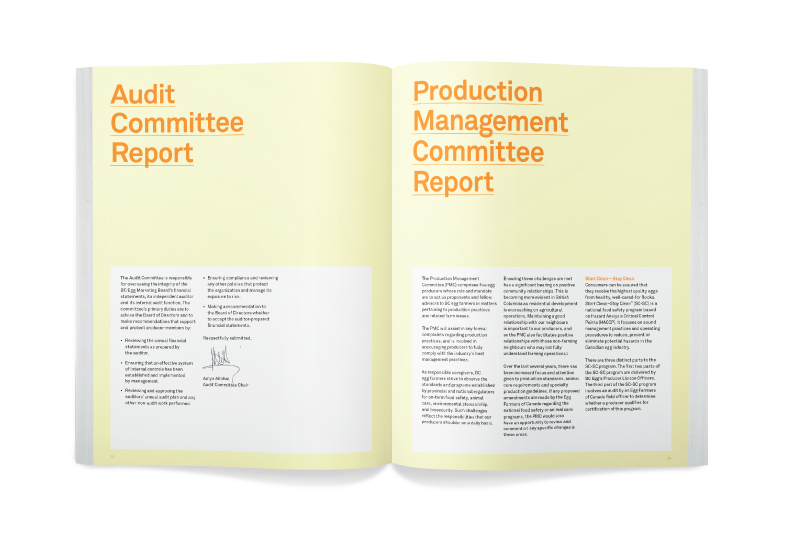 The report uses visual devices such as translucent stock, an irreverent cover ‘reveal’ and honest, reportage-style photography to represent and embody the idea of transparency and openness. 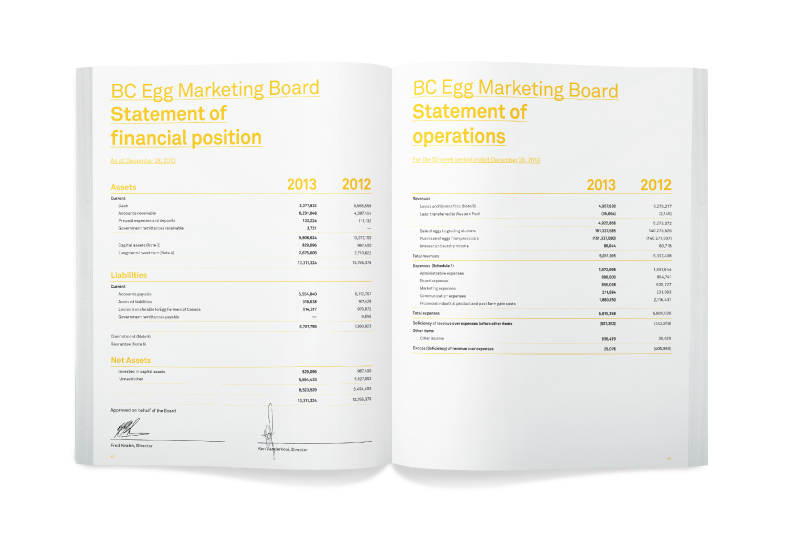 Along with straightforward and unequivocal copywriting, all this helps to portray the fact that the BC Egg Marketing Board and the industry it represents has nothing to hide. 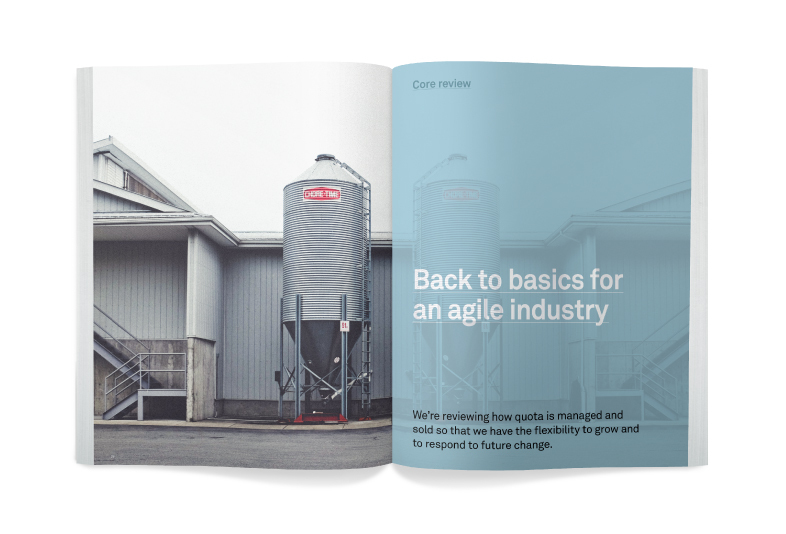 Work completed at DDB Canada.